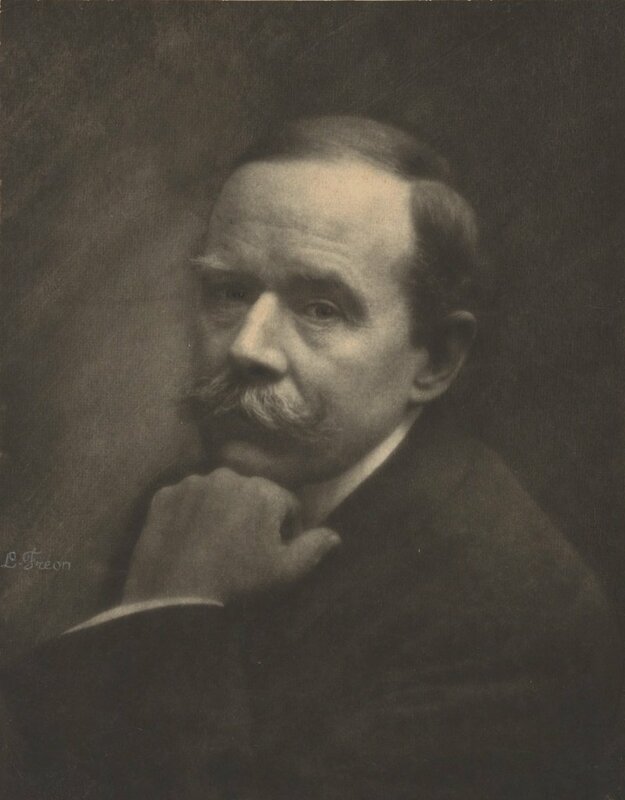 John Russell was born in Darlinghurst in 1858 to a family of highly successful manufacturing engineers. Destined to follow a similar career, the sudden death of his father in 1879 left him free to become an artist and with the financial means to train in London. 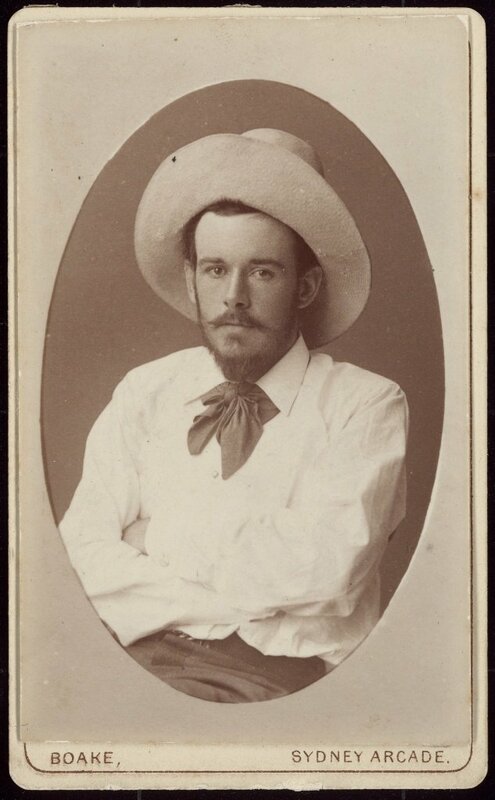 Russell may have been inspired to study art by his maternal grandfather, the English sculptor William Grinsell Nicholl, who migrated to Sydney for a brief period in the early 1850s and opened the ill-fated Gallery of Sculpture in Woolloomooloo. 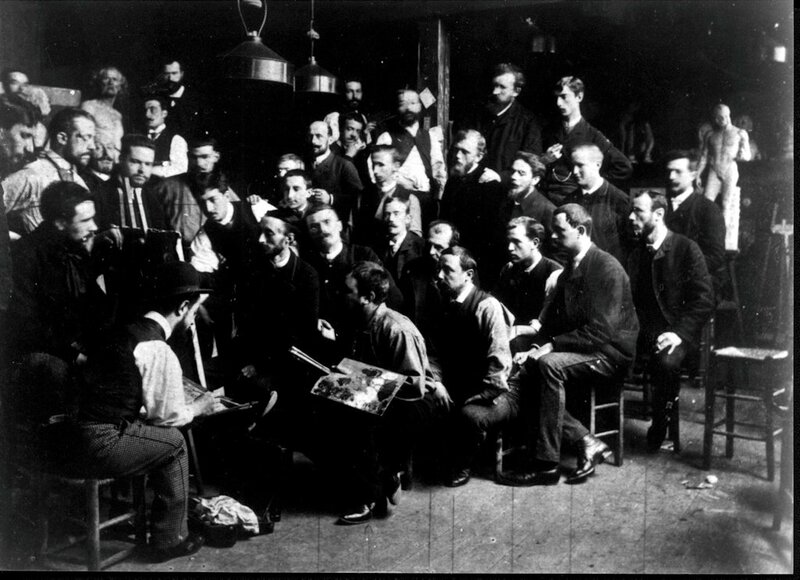 In January 1881, Russell enrolled at the Slade School of Fine Art, training under French realist artist Alphonse Legros. While essentially conservative, it was the most advanced teaching available in London and Russell learnt how to paint portraits quickly from memory, as well as a fine classical drawing style. 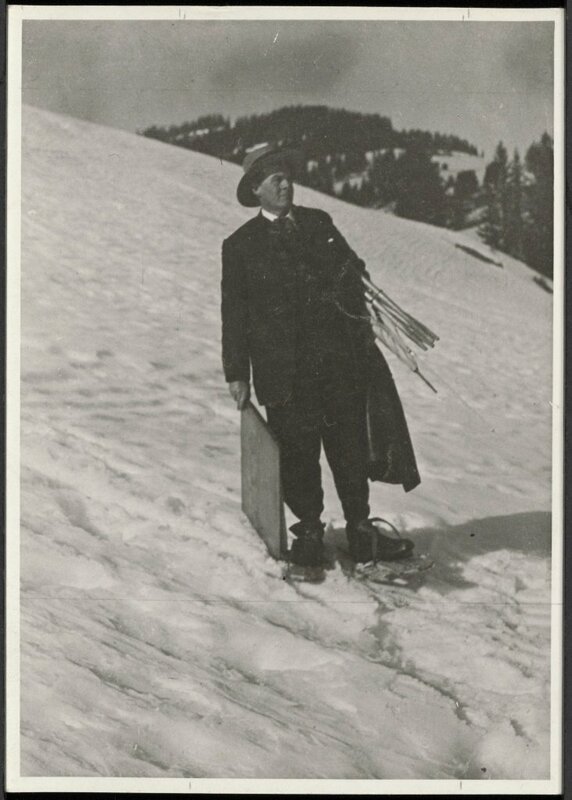 Given his ambition and desire for new challenges, it was inevitable that Russell would move to the European centre for both academic and advanced art: Paris. Russell moved to Paris in late 1884 where he joined the small teaching studio run by academic painter Fernand Cormon. Located in Montmartre where Russell lived, it was an area frequented by artists: Edgar Degas, Pierre-Auguste Renoir, Georges Seurat and Paul Signac all lived nearby. The bustling section of shops, residences, cabarets, cafes and studios was still close to windmills, remnant market gardens and fields. A walk down the hill ended in the grand boulevards of Baron Haussmann’s rebuilt Paris. A remarkable group of young artists studied at Cormon’s including Louis Anquetin, Eugéne Boch, Émile Bernard and head student Henri de Toulouse-Lautrec. They were a close-knit circle with whom Russell was popular. Early in 1886, newly arrived student Vincent van Gogh formed a friendship with Russell that lasted until Van Gogh’s death in 1890. In 1886—87 they frequented each other’s studios and painted in and around Paris together. Encouraged by Van Gogh, Russell purchased Japanese woodblock prints in Paris from the prominent dealer Siegfried Bing. Russell’s taste for Japanese art was seeded earlier when he viewed ceramics and bronzes in the Japanese Court at the Sydney International Exhibition in 1879—80, and on display at the Art Gallery of New South Wales in 1882—83. Russell also absorbed Japanese influences in the work of artists he admired like Manet, Monet and Degas. Western artists responded to Japanese prints for their bright, clear colours and spatial arrangements in which the horizon was absent and elements were scaled for importance. They also appreciated their representation of movement in nature, the abrupt cropping of images, and scenes of the pleasures of everyday life. The lessons Russell learnt from studying Japanese art are evident in this remarkable group of paintings of blossoming trees from 1887—88, which are haunted by personal tragedy. In January 1888, Russell sought an introduction to Auguste Rodin as he wished to commission a bust of Marianna who he was about to marry. The letter of introduction from a mutual friend began a true and affectionate friendship between the greatest sculptor in France and the impressionist painter from Australia that was recorded in intimate letters exchanged between the pair and their families for the next 30 years. Rodin was focused on the demands of his state commissions in 1888, including the Gafes of Hell. He was turning down private portraits, but he accepted Russell’s request. This is likely because on meeting Marianna he became entranced with her classical beauty. The commissioned bust was unusually cast in silver and delivered to the Russell’s in 1889, though Rodin used his working busts of Marianna as the model for at least nine further sculptures of mythological women from antiquity including Minerva, Pallas and Ceres. It is timely to consider Russell’s legacy which resides in his finest works: impressionist paintings made concurrently with the gradual acceptance of the movement by the French public, and later post-impressionist works notable for their remarkable colour and expressive brushwork. Russell’s importance also lies in embodying an alternate history of Australian art which takes place outside of Australia and does not involve national landscape or masculine labour subjects. His Australianness does not reside in his adventurous spirit, athleticism or bold painting, but in his internationalism in the late 19th century, when ambitious new-world artists tested themselves in the old-world art capitals. Russell’s move to Europe was risky, but the reward was the freedom to paint with the French avant-garde — all the more remarkable for someone born so far away. Before I left Paris I lunched with (who has finished a fine head of my wife) and Mr Claude Monet. Saw ten of Mr Monet’s pictures done at Antibes. Very fine in colour and light and a certain richness of envelop. But like nearly all the so-called Impressionist work the form is not enough studied … He is undoubtedly a remarkable colourist and full of courage in attacking difficult problems. We should all do the same. Russell’s criticism of impressionist form reveals that he has not quite let go of his earlier training, a common experience for artists confronted by the new developments in art which suggested everything they had learnt no longer mattered. Monet’s Antibes paintings had a lasting effect, however, and when Russell travelled south in the winter of 1890—91 he chose similar scenes to paint. Painting now in a confident impressionist technique, his works are saturated in clear, even, intense Mediterranean light and the bright colours this evoked. A catalyst for Russell’s embrace of impressionism was a chance encounter he had in 1886 on the savagely beautiful island of Belle-Île-en-Mer. Russell left Paris in June with Marianna, travelling to Brittany, which had attracted artists since the 1850s with its distinctive traditional language and culture. Instead of joining one of the established artist colonies they continued on to the seldom-visited Belle-Île off the coast near Quiberon. Russell was so affected by the experience that he purchased land near where he first met Monet and moved there in 1888. From this point Russell committed to exploring impressionism: painting outdoors, depicting the effects of light at differing times of the day and seasons of the year, and using bright pure colours applied in evident brushstrokes. You are in your element — triple Triton — and you return to the grotfos of Amphitrite, or rather marine monsters. [G]ive yourself joy and don’t forget that your painting is the precious thing at the moment and in the future. 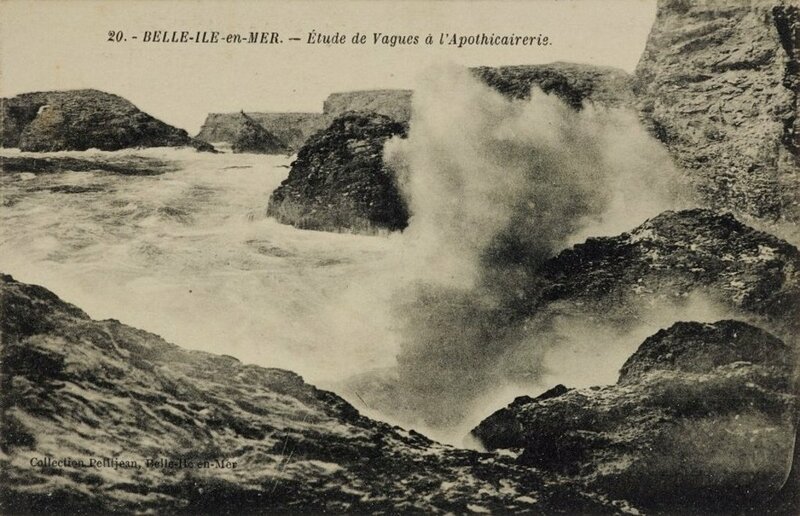 At the turn of the century Russell began a remarkable series of paintings of tempestuous seas pounding the Belle-Île coastline. They are a visceral, wildly energetic and individual response to the natural phenomenon that he had observed firsthand and pitted his physical strength against for almost two decades. Painted from the same location outdoors, looking across to Morestil Point from the cliff tops near his house, they capture the action and energy of waves, spray and atmosphere and the visual dissolution of the cliffs under their impact. Russell uses both more and less naturalistic modes in this series. 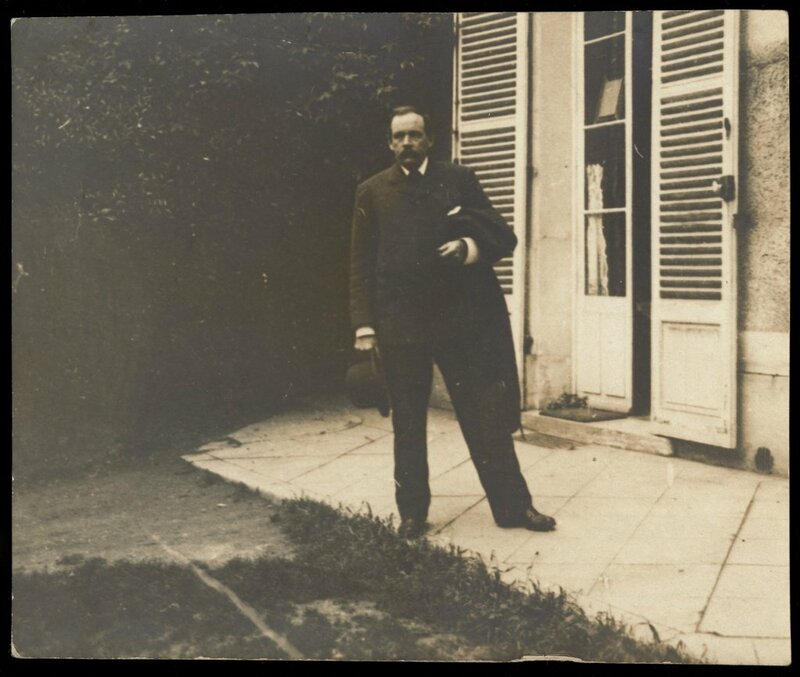 As their children became older, the Russells ended their self-imposed exile on Belle-Île and were frequently in Paris from 1902, leasing houses in the wealthy suburb of Neuilly-sur-Seine from 1903. 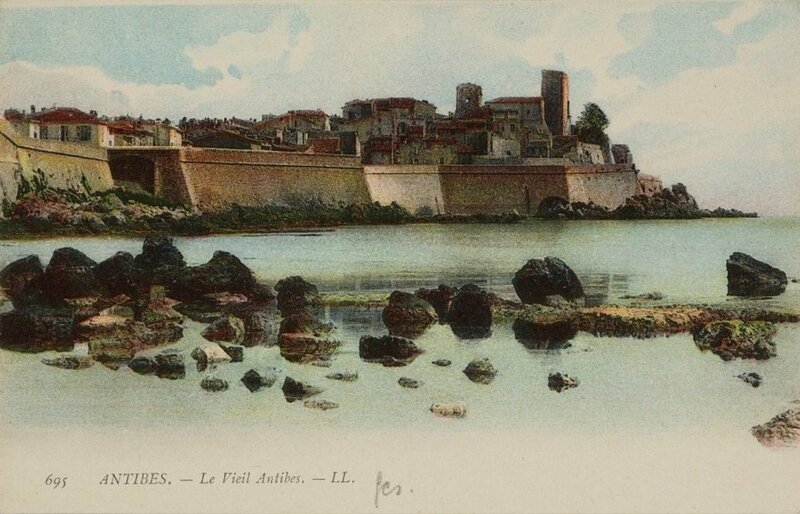 Spring and summer were now spent mainly on Belle-Île painting plein-air and autumn and winter in Paris where their daughter Jeanne’s training as an opera singer brought them into greater contact with a world of composers, musicians and performers. Jeanne recalls their attendance of performances with Rodin by Isadora Duncan, Russell’s love of Richard Wagner, and her parents’ fascination with the astronomer, science-fiction writer and spiritualist Camille Flammarion. This suggests Russell had an interest in the irrational in the early 1900s which aligns with a symbolist impulse in some of his seascapes. Encouraged by Rodin, and by this time more confident about his practice, Russell re-engaged with the Paris art world and submitted work for exhibitions. Russell’s earliest works are watercolours he painted travelling from London back to Sydney in 1879. 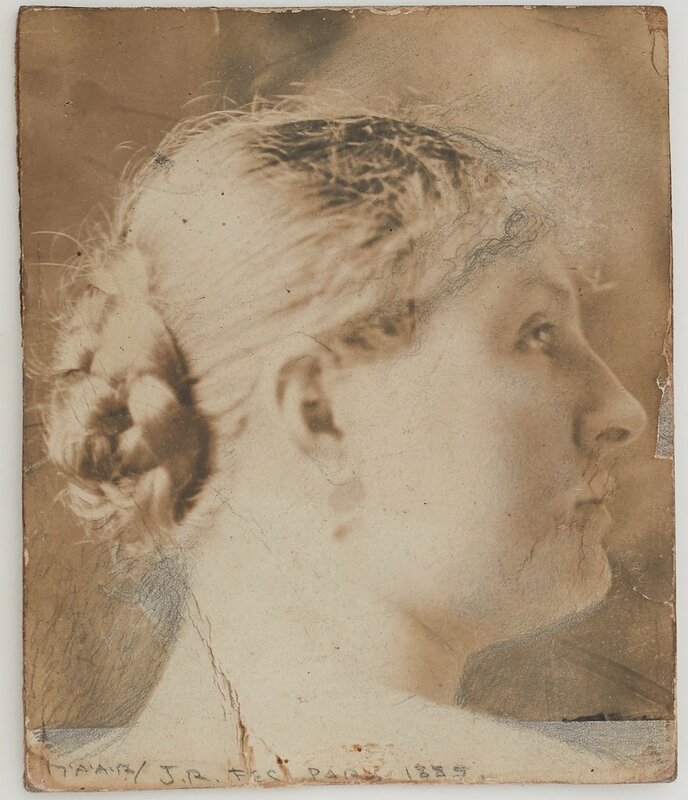 His watercolour practice gained new focus through his friendship with the talented American watercolourist Dodge MacKnight, whose portrait he painted while they were students together and who stayed for several summers on Belle-Île. In response to the highly finished and technically precise academic watercolour movement, progressive artists used transparent pigment washes on modest sheets of paper, freely and expressively applied in a quest to capture colour and light. After Marianna’s death in 1908, Russell almost ceased painting in oils and instead focused on his daughter Jeanne’s career. In early 1910 he wrote to Rodin: 'As the sea will not go to my daughter and I have the memory of my dear departed continually in front of my eyes — I have sold Goulphar. I have also abandoned my house in Neuilly.’ From this time Russell painted luminous high-keyed watercolours, approaching a fauvist colour pitch in some, which record his travels in Europe and his eventual return to Australia.